Design Toscano is a mid-priced home goods store — primarily featuring quirky home decor and garden & patio. ShopSleuth found 102 home goods stores similar to Design Toscano, out of our database of 45,744 total stores. The following stores offer the closest match to Design Toscano based on our proprietary matching algorithm. Submit your vote below to help us refine our Similarity Scores and rank the stores and brands most like Design Toscano! Bed Bath and Beyond is a home goods retailer offering unique and functional home items. 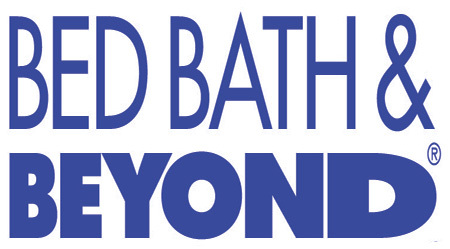 With retail stores nation wide, Bed Bath and Beyond makes it easy to find "gotta have" items. Marimekko is a Finnish textile and apparel design house that is known for original prints and colors. Marimekko offers home décor, apparel, bags and accessories. 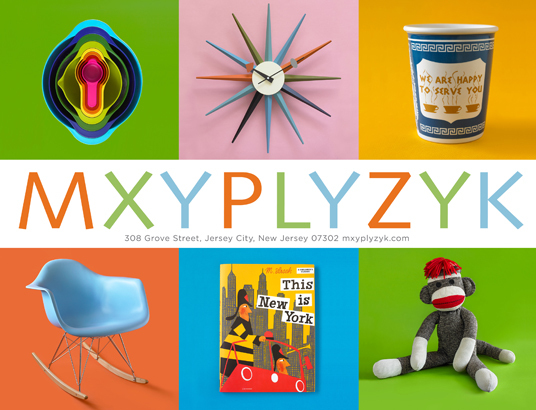 Mxyplyzyk is a contemporary home furnishings store with roots in NYC. Mxyplyzyk is known for its affordable, edgy furniture, home décor, lighting, dinnerware, and accessories. Bold Loft is a novelty gifts brand for couples. Specializing in unique couple gifts such as love pillowcases and couple t-shirts, it aims to show your love and affection for the one you treasure most. Dormify is a one stop shop to get the dorm of your dreams. Dormify offers a fun and stylish selection of carefully curated décor items for fashion minded college girls. Pop Deluxe is a specialty gifts retailer. It has a wide variety of cute, clever, fun and modern gifts for everyone and features top brands such as Oria Kiely, Jon Adler and Pantone Universe. Unica Home is a department store that sells over 60,000 gadgets, gifts, accessories, lighting and furniture for the home and the office. Their style is more than modern. Three Potato Four is a unique supplier of antique inspired home accents, paper products, and distinct vintage finds. Three Potato Four is inspired by a love for collecting and finding treasures. 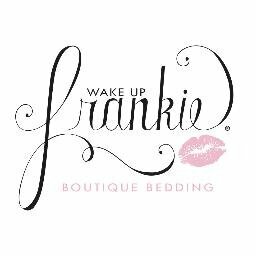 Wake Up Frankie is a home décor brand that sells trendy, off beat bedding, furniture, and room accessories. Wake Up Frankie is known for mixing and matching bold prints and unexpected colors. Lakeside Collection offers a selection of fine home merchandise that is affordable. Lakeside Collection offers home décor, stationary, books, media, and travel bags. Pier One hosts an exotic collection of cute, eclectic and trending odds and ends for the home and garden. Pier One is a leader in high-end home décor and has items to fit any taste. Uncommon Goods is an online marketplace collective that features high-quality products at low prices. Uncommon Good offers a mix of unique and quirky home items and gifts for everyone. Jellio is a whimsical brand that sells home furnishings inspired by retro toys, candy, and other childlike elements. Jellio is known for its playful sense of spirit and colorful designs. Patina Stores offers accessories for women, men, kids, and the home. Patina Stores sells products that range from jewelry and handbags to novelty gifts and unexpected kitchen accessories. Retroplanet.com is an e-tailer specializing in retro gifts and décor. Offering a large selection of cool retro products at excellent prices, it aims to relive the '50s, '60s, '70s and '80s. Trippystore is an online retailer for the hippie at heart. Trippystore offers psychedelic décor, posters, beads, incense and more. Cost Plus World Market offers trend-setting home accents and an inspiring array of international foods at low prices. Inspired by bazaars around the world, World Market has items to fit every taste. Ten Thousand Villages is a unique, fair trade gift retailer. Ten Thousand Villages extends opportunities to artisans in developing countries to create textiles and home décor that is truly original. Carolina Pottery is a family owned home goods retailer. Carolina Pottery offers a wide array of furniture, dinnerware, season items, frames and home accessories. Cuddledown knows quality bedding. Cuddledown offers an extensive line of American-made synthetic and down comforters, pillows and featherbeds as well as sheets, blankets, slippers and sleepwear. Design Toscano is America's premier online and catalog source of historical replicas and statues for the home and garden. It offers exclusive and unusual decorative items unavailable elsewhere.